I absolutely hate having cold feet and ever since being a child I have suffered with poor circulation and chilly toes. I was cursed with chilblains every winter through my teenage years and the memory of that annual pain and discomfort in my poor toes is rather rotten. So it goes without saying that I always need my feet to be warm and dry in wintertime and that I also love thick, warm socks, the snugglier the better. I have a whole collection of commercial Snuggle Socks (you know, the really fluffy kind that appear in the shops just before Christmas), but I can confirm, through extensive testing and experimentation, that hand knitted socks are in a league of their own when it comes to warmth and comfort for ones feet. Having my feet snuggled up inside hundreds of little woolly stitches all created by the hands of someone who adores the knitting process is just magic. Hand knitted socks represent hours of creativity, patience and love, and I am convinced that those feelings are embedded in every knitted row and therefore make one's feet feel extra warm and cosy. The socks in the photos above belong to me (mine, all mine! ), and those are my warm and cosy feet modelling them. Aren't they a bit gorgeous? Do you note that those knitted sock rows are rippling themselves gently up and down, kind of like my crochet ripple blanket? Well there is a little story behind these socks and the way they came to be nestled on my feet. They were designed and made by Christine Perry who writes a blog called "Winwick Mum". Now amongst other talents, Christine is a very accomplished knitter, and I'm sure she won't mind me telling you that she is a Sock Knitting Obsessive. Uh-huh, obsessed I tell you. Just as I have my addiction to crocheting blankets, Christine's thing is knitting socks. She knits all the time, every day. One pair of socks follows another, and another and another. And not content with just knitting socks, Christine also possesses the necessary know how to design her very own sock patterns - I know!! Clever or what?? And this is how I came to have this delicious pair of Neat Ripple Socks at the end of my legs - Christine came to say hello to me at Yarndale last year and asked for my permission to use the "Neat Ripple" name for her socks which were inspired by my crochet ripple blankets. I was only too happy for her socks to share a name with my beloved blankets, and hadn't in any way expected to be thanked so beautifully. What a treasured gift these socks are, I can't tell you how much I love wearing them (a whole lot of cosy happy for my cold feet), and how I love the friendship that came from these ripply stitches. The above socks were also designed and made by Christine - she based this design on a knitted shawl pattern. I was so in awe of them when I first saw them, so unbelievably impressed by the notion of someone not only knitting their own socks, but somehow creating a lacy pattern at the same time - way beyond skilful in my humble opinion. You may be interested to know that Christine shares all her sock patterns on her blog for free, just the same as I do with my crochet patterns. She is an enabler, an inspiration and guru to would-be sock knitters all over the world. As well as writing very clever ripply and lacy patterns for advanced sock making, Christine has also written a simple sock pattern to encourage complete sock knitting beginners. With years of sock making expertise under her belt, she has created not only a very nifty Basic Sock Pattern but also a full step-by-step tutorial to go with it. In her tutorial she covers everything you need to know about embarking on your very own sock knitting journey - lots of useful information about choosing the right yarn, buying the right tools (needles etc), how to match stripes so your socks come out like identical twins, how to cast on and make a tension square etc etc. It's a very comprehensive guide and really useful for complete sock-knitting newbies. Once you've digested all the info and got your kit together - a ball of 4ply sock yarn, small 30cm circular needles (2.5mm) , a set of double-pointed needles (2.5mm) and a couple of stitch markers - you are good to go. With her brilliant tutorials (she uses lots of photos like me), Christine's basic sock pattern is written in easy to understand plain English with lots of helpful explanations along the way. But that's not all - back in the Springtime, Christine hit upon the idea of starting up a Sockalong, a virtual knitting circle where she would encourage all and sundry to join in with her sock-making adventure and give it a whirl for themselves. Via support groups on Facebook and Ravelry, an exciting new community began to form and many hundreds of ladies began to discover the joy of knitting socks for themselves. Christine is a true inspiration - she is skilled at trouble shooting and offering advice and information, and as a result of her enthusiasm and the knowledge she shares via her Facebook and Ravelry groups, I know many, many people have successfully made a pair of socks for the very first time. Here in Atticland, Christine's sockalong reached out and inspired many of my real-life friends to start their own sock knitting journey. It was wonderful to witness the joy of sock knitting in the hands of my friends, and truthfully a little part of me began to feel a tad jealous as they oohed and aaaahed over their achievements. I started to feel just a weeny bit left out when there was so much sock talk around the knit and natter table each week. As I really genuinely love wearing hand knitted socks, I found myself quietly wondering if this might be something I could have a go at. Could I do it? Was it possible? Me and the Pointy Sticks? Christine says that if you can knit and purl, then you can definitely knit socks. She makes it sound very easy and achievable and rewarding. Now I can knit and purl, although it's been a very long time since I did so. I used to knit a lot through my teenage years, in the 1980's when big shoulders and mohair yarn were all the rage. I don't recall really being passionate about knitting when I was younger (I loved stitching and embroidery way more), but I did enjoy it as a hobby and loved wearing the things I made. And so the quiet little thoughts that sat inside my own mind (could I knit socks? could I manage to learn? would it be fun to join in?) started to leak out into real life and several of my sock-knitting friends picked up on my interest and began to encourage me. Go on - give it a go, they said! You'll love it, it's such fun, they said! We can help you if you get stuck! But more than anything, I think they thought it would be fun to see me put down my trusty hook and grapple with the pointy sticks! Haha, they wanted a laugh at my expense I think!! So here I am at Coopers Café one Tuesday afternoon, with everyone watching me pick up those needles for the first time. Oh boy, I was so nervous (note the White Knuckles of Tension!) My hands aren't at all used to knitting, they aren't used to holding such small needles or working such tiny stitches with such thin 4 ply yarn. It felt very strange at first, and I had to concentrate like fury to get that ribbing done. Knit two, purl two, knit two, purl two. I couldn't really speak and count and knit all at the same time, so I just smiled, ignored the jibes about Going Over To The Dark Side, ignored the photos being taken and counted hard in my head. Once the rib was complete, the knitting became much easier. Knitting on small circular needles is actually much easier than using sticks, and the best part is that you don't have to turn the work and make purl rows. You just knit round in a spiral, using a stitch marker to mark the start of each row. I found I got into a slow but easy rhythm with those 60 stitches - can't claim they were relaxing or especially enjoyable as I was still very tense at this point and had to knit in complete silence, but I began to feel ridiculously proud of my rows. Knitting!!!! I am actually knitting!!!! The thing that most pleased me about this first sock was discovering the way the striping yarn worked. Oh my goodness, it was so fascinating and pleasurable to see the stripes emerge from the yarn ball as if by magic. There was no ball-band on the yarn that Joy sent me so I had no picture to tell me what the socks would end up like. I just knit, knit, knit those rows and watched as the stripes changed colour and made patterns all by themselves. So clever! I really, really, really love sock yarn. At certain times during the knitting of a sock, you have to abandon the cosiness of those little circular needles and bring in the dpn's (double pointed needles). I was nervous about "turning the heel" as there seems to be a certain mystery around doing this magical thing. Christine's instructions (with lots of pictures to help) made it very do-able even for a newbie like me. I did have to use YouTube to learn how to SlipSlipKnit (a form of decrease), but I got there in the end. Oh just look at that!! I am very proud of my neat heel flap and gusset! I had help from the Sockalong Facebook group when I got stuck at times (I experienced the joy of an online community always there when you need help), and I also had to learn how to unpick knitting when it went wrong. In fact, the hardest thing about knitting isn't actually the knitting or following a pattern - it's learning how to trouble-shoot when you go wrong. I found it very handy to keep a 2,5mm crochet hook near me at all times as I frequently had to rescue dropped stitches. I progressed quite quickly with my first sock, eager to work through all stages of the pattern to see if I could do it. I became a little bit obsessed with it. I found that in order to knit successfully, I had to be sat at my dining table with nobody speaking to me, so it wasn't (and still isn't) a sociable hobby for me. Knitting for me is quiet time, me-time. I knit in the very early mornings or sometimes in little gaps of time in the day like after-dinner-before-bathtime when everyone in the house is occupied and will leave me well alone to concentrate. I find I can't knit in the evenings when my eyes are tired as I make too many mistakes and get too cross. I made not only one sock, but a matching pair!!!!!!!!!!!!!!!!!!!!!!!! I have to tell you, now that my socks have been washed and blocked, they feel amazing to wear. They are soft and oh-so-very warm and toasty. So what happens when your first pair of socks is on your feet and you've got empty needles sat there in front of you? Why, you spend a good many hours surfing the net looking for your next fix to feed your new addiction. Of course! The yarn that Joy gifted me is made by German company Opal (this particular yarn is from the "Sweet & Spicy " Opal range, the colourway is called "Sprinkles"). Opal make a huge range of sock yarns in beautiful colours which really are lovely to knit with and produce stunning socks. 4ply sock yarn generally comes in 100g balls (easily enough to make a pair) and is made from 75% wool / 25% nylon. The commercial sock yarns are machine washable, and come out beautifully soft after washing, with no shrinkage or fluffing or bobbling. Once you start looking at sock yarns, you will seriously be spoilt for choice, they are all so appealing! The self-striping pattern thingy that happens in sock yarn really has entranced me, I am fascinated by the way it works. If you've got a spare 6 minutes right now, do watch this little video about how Opal sock yarns are made, it's ace. So what do you think of these stripes then? Aren't they cool??? It amazes me to look at the ball of yarn and know that it will produce these stripes and patterns. This is Regia yarn, another fab sock brand from Germany and this particular range has been designed by Norwegian knitting designers Arne & Carlos. Once again, I have really enjoyed seeing the stripes emerge, they are very pleasing indeed. Clever yarn, it really is. So now we are up to date with my journey, and you can see where I am at right now - almost finished the leg of my fourth sock. The knitting is getting easier for my hands, my tension is more even and I've not dropped nearly so many stitches with this pair. And I'm relaxing a bit more with it now which is good, but this is still a quiet, full concentration hobby for me. I'm told it does get easier. Super Socks is the book that Christine wrote to accompany her online tutorials. Gosh, my friend wrote a book, and I am more than a bit in awe of that fact and very proud of her, especially as it's a very good book too. Just like her blog tutorials, the book is full of photos and well explained text which accompany the pattern and help you along the way. I found I much preferred having the book pages rather than a computer screen next to me whilst I was knitting, it really helped to see the pictures alongside the pattern to keep me on track. Something else I want to tell you is about the knitting method itself - somewhere in the early rows of my first sock I decided to try and teach myself Continental knitting. This is where you hold the yarn in your left hand and use the needles to hook up the yarn (rather than "throwing" the yarn around the needles). I am still very much learning, but it has totally changed the way I knit and crucially the speed I can knit. It really suits my hands as I can hold the yarn in exactly the same way as I do when I crochet. There are masses of tutorials on YouTube teaching the basics of Continental knitting - as I say, I am still learning and haven't yet mastered purling the continental way, but it has encouraged me to learn more. If you've been encouraged by my knitting journey and think you might like to have a go at making your toes cosy with some hand knitted socks, all I can say is Go For It, you will be so glad you did. Christine's pattern and tutorials do really make it achievable, plus remember you can join the Sockalong Facebook Group too which is just the friendliest community of people who will inspire you and give help and advice when needed. I never thought I'd knit socks (seemed too fiddly in my opinion) and now here I am obsessed and searching for blog posts about socks. I'm surprised at the recommended needles. I use at least a 60cm circular (80 cm preferable) and don't change to double pointed needles ever (seriously allergic to them). I also think toe-up with a provisional cast on and short row toe is easier for trying out sock knitting as there is no picking up stitches for the gusset and no grafting at the toe. My first pair of socks were actually knit flat on two needles (back and forth) and I personally think this is a great way to dive into the world of sock knitting if you've not knitted extensively. These woolen socks are too much beautiful. mostly I see that woolen socks looks too dull but these are very charming. colors are also very beautiful. You have done great work by telling me that how to make these socks. I will definitely make 2 or 3 pairs for my lovely daughters by following this information. Fantastic post! I tried sock knitting once before and could not get it. You have inspired me to give it another go. Thanks for all your wonderful tips! Michelle, now your comment has me worried about knitting socks! I was planning to use the circular needles Christine uses, and Lucy used. Oh brother! This blog about knitting socks made me pull out my knitting needles! I have planned to learn to knit for a couple of years. Guess what I'm starting with? I will try Christine's sock tutorial. I am so excited! Thanks for sharing your sock story! Lucy, how can you go over to 'knitting', even for socks??! A few weeks ago I sat down and figured out how to crochet toe up socks. I'm not a pattern writer, and the guide I used was a bit basic ( so I had to make it up a bit) but after crocheting 3 pairs, one each for my girls and me, I am happy I can still have cozy handmade socks but in crochet it takes me a fraction of the time, counting in hours instead of months (I did knitting classes a few years ago but its too slow compared to crochet, which I learned a year before the knitting). But handmade socks, whether knit or crochet, are essential to toasty tootsies, so yay for the socks! Well done indeed! Beautiful, identical socks! And socks are not an easy thing to knit when you're new (or newly returned) to knitting! Gorgeous yarn you had too, Joy has great taste! You could write a book like the sock lady, her instructions look just like yours on your blog ( I have printed them off) go for it"!! GET INTO PRINT!! I think I need to learn how to knit! I tried to crochet some socks for my brother but the yarn and hook were so tiny I couldn't see what was going on! Maybe I need some readers lol. I was taught to knit by a crocheter who knit Continental style for the same reasons you like it. Years later, I picked up the English method too, but I always revert to Continental when I make socks. And, it comes in handy when you're working on a project that requires more than one color. You can knit with both hands that way! Definitely a technique worth learning. I love knitting socks - so much fun! But you do realise, that the consequence of loving to knit socks is sock scraps, and that results in sock scrap blankets? And then, of course, you get swept up into swapping mini skeins. It's just a big ol' rabbit hole, this sock knitting malarkey. Well done Lucy!! You have inspired me to learn to knit now (haven't tried since I was a little girl). Will make a change from crochet and I have seen so many vintage knitting patterns that I love. Have already headed to You Tube for tutorials and will buy some needles at the weekend. Thank you. I too am first and foremost a crochet'er. So it was strange that continental knitting just did...not...work for me, no how no way. Wierd since its holding the yarn in the left hand just like crochet. But I found that my knitting was wonky, and I never could get control of my tension. I am an English knitter. However!! Once I learned to "flick" instead of "throw" (with flicking, you never drop the needle to wrap the yarn, you dip the needle backwards and "grab" the yarn), my speed increased 100x's. Once mastered, flicking is just as fast as continental. I kept trying to force myself to knit continental, because everybody kept saying it was the "right" way, and it didn't work. I'm glad I stopped listening to them or I would have never learned to knit as I have. THere are tons of vids on youtube about flicking. Nice job on the socks!!! They look fantastic!!! Having an Austrian mother, I was taught continental knitting at the age of seven. My sister was taught to knit by our English grandmother and we always argued over which was the better method. Eventually we had a knitting race and the continental method wins hands down. 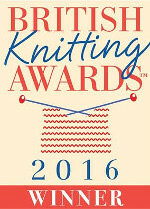 Fifty years on I still get comments from people about the way I knit. And socks? Yep, I've knitted socks for many years and enjoyed wearing every pair! Well done you. I have sock knitting on my bucket list. I'm currently quilting and crocheting to stay warm. BTW, crocheted socks are supposed to be super easy to make. Fantastic sock knitting. It does get easier. I struggled with my first pair but now I have a plain sock pattern memorised and churn out loads of them as I can't wear shop socks. It's interesting to see how different people like different needles. I can't get on with the tiny circulars at all but I'm super speedy with DPNs although at the start it is a it like hedgehog wrestling as you say but the tiny circulars just give me cramp. Can't wait to see more of your socks as well as your blankets as I'm addicted to making those too.